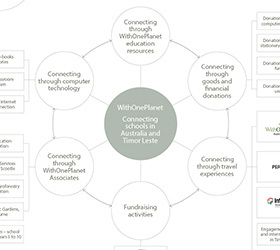 WithOnePlanet Stories provides access to information on initiatives, events, activities and news to assist people who are engaged with the WithOnePlanet open education program. You are encouraged to subscribe to the WithOnePlanet Newsletter to keep up to date with program activities and developments. Note that your contact details will not be disclosed to any third party. 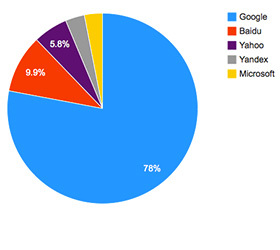 Do you know that there were over 1.2 trillion Google searches conducted last year? 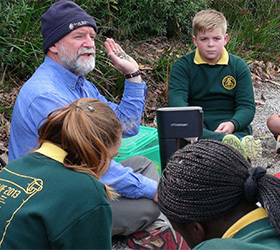 Plants, people and place – Students participate in the Carbon futures program, Royal Botanic Gardens, Cranbourne. 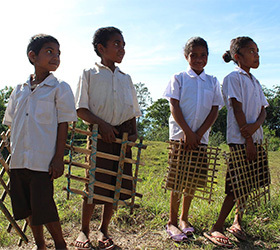 WithOnePlanet provides opportunities for Australian schools to connect and engage with school communities in Timor Leste and build mutually beneficial two-way relationships. 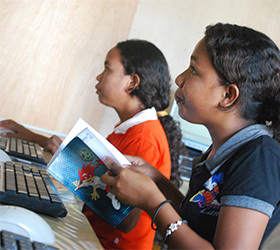 This engagement can be explored through the use of communications technology and/or through student/teacher travel programs to Timor Leste, staying in villages and exploring local culture. Plants, people and place – Students make plant presses in preparation for Education week workshop in Timor Leste. 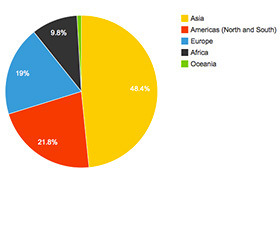 Do you know that over 3 billion people use the internet? WithOneSeed runs an environment education week in Baguia Timor Leste annually. 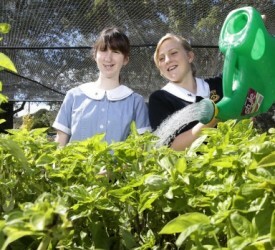 This year the focus of the week will be on the establishment of school gardens at the 35 schools in Baguia. Education focused on improving the health of students and providing knowledge and skills in subsistence communities will be a goal of this work. 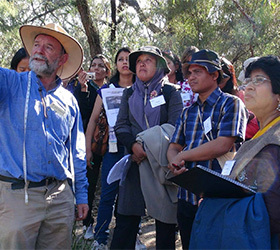 Plants, people and place – Carbon futures program, Royal Botanic Gardens, Cranbourne.